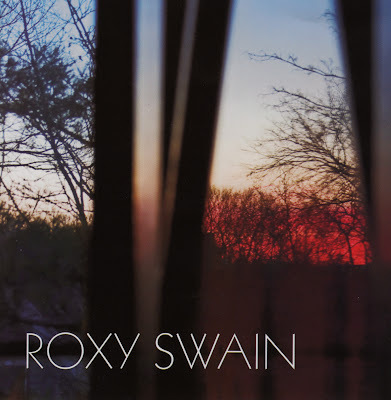 Roxy Swain is the name of a band as well as its dynamic lead vocalist. On The Spell Of Youth, a full-length follow-up to the New Love Designers EP, Swain belts out power pop tunes crafted by guitarists Tom Valenzano and Matt Walters. “Second To None” and “2 Dimension” evoke The Bangles, while “Linda” sounds like a 1960s hit single. “Son Or Daughter,” which feature male lead vocals, is a funny ode to some sort of chemically spawned creature. I’ve lost track of how many CDs I now have by Fountains Of Wayne. Here’s a review I did for the Illinois Entertainer of their first effort. 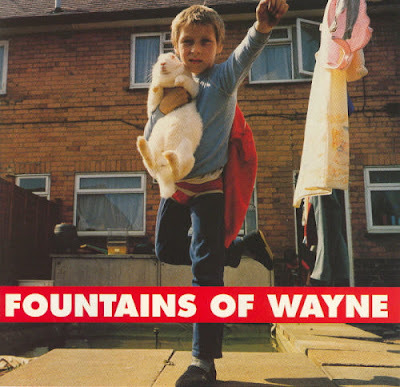 Fountains Of Wayne songwriters Chris Collingwood and Adam Schlesinger create a series of musical portraits on the band’s self-titled debut. Their unerring sense of melody is spiked with lyrics brimming with razor-sharp putdowns, brought to life through airtight harmony vocals and the musicians’ solid performances. The songs range from the high energy of “Joe Rey” and “Radiation Vibe” to the shimmering ballad, “Everything’s Ruined.” Collingwood and Schlesinger often add a touch of humor, even on the bittersweet “She’s Got A Problem,” which depicts a close friend who’s her own worst enemy. “Sick Day,” an engaging slice of life about lonely office workers, gets a slower arrangement featuring some of the album’s best harmonies. “Leave The Biker’ is a nice guy’s lament that ranks with Joe Jackson’s “Is She Really Going Out With Him” as a masterpiece of malicious jealousy. In addition to lyrics like, “He’s got his arm around every man’s dream/And crumbs in his beard from the seafood special,” the song sports a perfectly executed Beatlesque coda. Out of their heads for Black Friday Bargains. 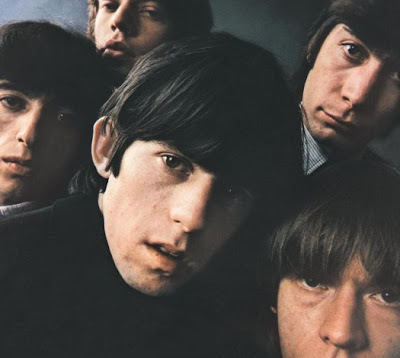 Rolling Stones photo from Amazon. WXRT is providing an interesting spin on the traditional day after Thanksgiving shopping madness with its Paint It Black Friday feature on The Rolling Stones today. Heavy Manners will be performing tonight, November 26th, as part of the Skanksgiving Ska Fest at The Beat Kitchen on Belmont in Chicago. Skapone and The Crombies are also on the bill, along with a DJ. Heavy Manners will be selling copies of its limited edition red and white vinyl “Get Me Outta Debt” which includes a previously unreleased dub with Peter Tosh. Older singles, like “Flamin’ First,” “Taking The Queen To Tea,” and lead vocalist Kate Fagan’s solo single “I Don’t Wanna Be Too Cool” will also be on sale. Heavy Manners performs at 10. Haven’t heard from The Queue since its impressive performance earlier this year at International Pop Overthrow - Chicago, so it’s good to discover the local power pop band will be releasing more copies of its limited edition EP, Turn It Up, Turn Me On. The Queue, as its name implies, is influenced by the original British Invasion, and has dates coming up at Abbey Pub on December 23rd and Red Line Tap on January 28th. Has it really been that long or did we all just travel through time in a TARDIS? Doctor Who has been on the air for 47 years. Of course, there was a short break in the action before Doctor Who reemerged with Christopher Eccleston in the title role. According to the Anglophenia website, the BBC is celebrating by making vintage show-related documents available for public viewing. 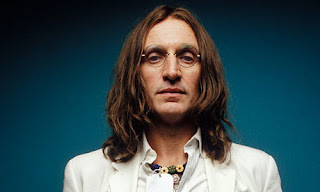 Last week when I mentioned that Eccleston was starring as John Lennon in the Masterpiece Contemporary production of Lennon Naked, I neglected to point out that his immediate successor on Doctor Who, David Tennant, is the host of that program. Speaking of Tennant, fans can send him their Christmas messages via his Facebook fan page. A recent Mary Schmich article in the Chicago Tribune had good news for people who miss artist Nicole Hollander’s liberal-minded and sharp-tongued Sylvia comic. Hollander’s essays and drawings can now be found on blog run by Alicia Eler. Schmich explains that the blog reaches a smaller audience, but that its format allows Hollander to be more immediate and direct. Another story in the Chicago Tribune talked about senior citizens performing in a band called, Old’s Cool. They cover songs from the 50s through the 70s. Considering how many of the original acts from those eras are still active, I’d suggest Old’s Cool change their name and just go out on the club circuit like any other band. Once audience members see how old these guys are, they’ll just assume they must be famous. Beatles guitar pick tins from The Fest For Beatles Fans catalog. 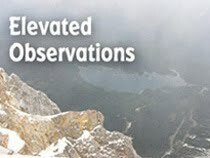 I’d like to wish a Happy Thanksgiving to everyone who visits this blog. Even if you’re not a U.S. resident, you should still take a moment today to ponder a few things to be grateful for. I used to get up early on every Thanksgiving so that I could run over to the grocery store before they sold out of their copies of the Chicago Tribune and Chicago Sun-Times. On Thanksgiving, these papers are stuffed with flyers advertising bargains for Black Friday, the biggest shopping day of the year. Now I get both papers delivered. I’ve always found it fascinating to discover what’s currently available in the retail world, even though I’m not one to brave the hectic shopping mall crowds on the day after Thanksgiving. Today’s post is a much more compact, rock and roll oriented shoppers’ guide to what to give or ask for this holiday season. First up, is The Fest For Beatles Fans 26th Annual Holiday Sale! catalog, which arrived in the mail about a week ago. Billed as the “World’s Largest Beatles Catalogue And Webstore,” it offers just about everything a devotee of John, Paul, George, and Ringo could dream of, from the more obvious items like t shirts, mugs, and figurines, to the more unusual things like cufflinks, bottle openers, lamps, socks, and undies. Sometimes it’s the small things that fascinate me; like a tin with a striking black and white graphic of The Beatles in their Sgt. Pepper garb on the cover, filled with guitar picks. The only thing that bugs me about The Fest For Beatles Fans catalog is that it’s such an embarrassment of riches for the followers of a single band. I already own five Beatles mugs, three sets of Beatles figurines, and four Beatles t shirts. What if I wanted a Kinks t shirt, or a coffee mug with The Move on it? Mamas & The Papas pajamas or a baseball cap with a Dave Dee, Dozy, Beaky, Mick & Tich logo on it? Status Quo socks? Occasionally, fans can find rock paraphernalia stores in malls that carry a variety of items for several bands, but probably the best place to look is on your favorite band's website. The Bangles offer a selection of t shirts for men and women on their site, as well as a cap, and two styles of tote bags. The band frequently puts items up for bid on eBay, with the profits going toward some charitable organization. The Hollies have tour books, a cap, and two styles of shirts for sale, along with a few badges. I recently purchased Through The Ages - Volume 1, a scrapbook filled with photographs from drummer Bobby Elliott’s private collection. It’s a Christmas present to myself, so I haven’t opened it yet, but it’s in the same format as the tour books. Another rock gift idea is the new Live From The Archives Volume 12 from WXRT, which features live performances that have aired on the station over the years. A subscription to Mojo, Q, Rolling Stone, or Shindig would surely be appreciated, and there’s an ad in the latest issue of Shindig for a book called Endless Trip, which pulls together vintage album reviews, illustrations, and color photos of American and Canadian bands from the 1960s and 1970s. It’s published by Foxcote Books, which also published a British version called Galactic Ramble last year. You’ll find plenty of eye-popping posters and framed art of artists like Jimi Hendrix, Pink Floyd, The Doors, and Led Zeppelin at the Rock Art Show website. You can do your own Black, or Rock Friday shopping with some energetic web surfing. Happy Thanksgiving to all, and be sure to give the gift of rock. I may have bought this import single by Madness strictly because the cartoon portrait of the band on the sleeve is so cool. Set against a background that looks like a crossword puzzle, it features the members doing their patented silly single-file dance, comic book sound effects like CRUNCH! and KRAK! and dance instruction footsteps. If you look closely, you’ll see the title characters from the “Chipmunks Are Go!” song from the band’s One Step Beyond debut album. 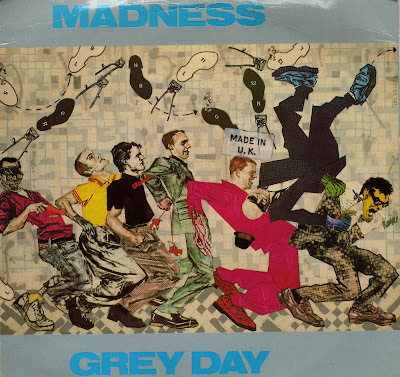 Like the later Madness hit single, “Our House,” “Grey Day” is a slice of British middle-class life, although the mood here is less - - - well, nutty. The dreary weather sets the tone for a daily grind of loneliness and frustration, alleviated only by a visit to the pub. You almost hope this guy could hook up with the gal from “Another Day” by Paul McCartney and Wings so the two of them could finally find happiness. Still, Madness makes “Grey Day” work through heartfelt vocals and a well-crafted arrangement. However, the B-Side, “Memories” is a less compelling plunge into despair that’s better left unexplored. You know you’re in for a party when a band names its debut Woo Eee Ha Ha! and has hip-looking cartoon skeletons ska dancing on the front cover. Self-described on their MySpace page as “Those amazing skiffle kids,” The Severed Limb features an accordion, double bass, and washboard. These guys still play gigs on the streets of London even though they’ve opened for Imelda May and other better known acts. The four songs on Woo Eee Ha Ha! have fun, stripped-down arrangements and energetic harmonies that exude the excitement a live performance. The easy-going title track is a tongue-in-cheek celebration that describes playing at the local county hall as a major accomplishment. On “Kill You,” The Severed Limb adds some vintage Country & Western to a tale of the dangers of fooling around. After hearing the unusual threat of, “First I’m gonna kill you, then I’m gonna bill you the price of the bullet,” a guy decides he’ll be safer spending the rest of his life at sea. “Shake It Senora (Laid Back Version)” is a slower, exotic number while the slinky “Making Out On The Couch” evokes The Stray Cats and Brian Setzer Orchestra with its twangy guitar. 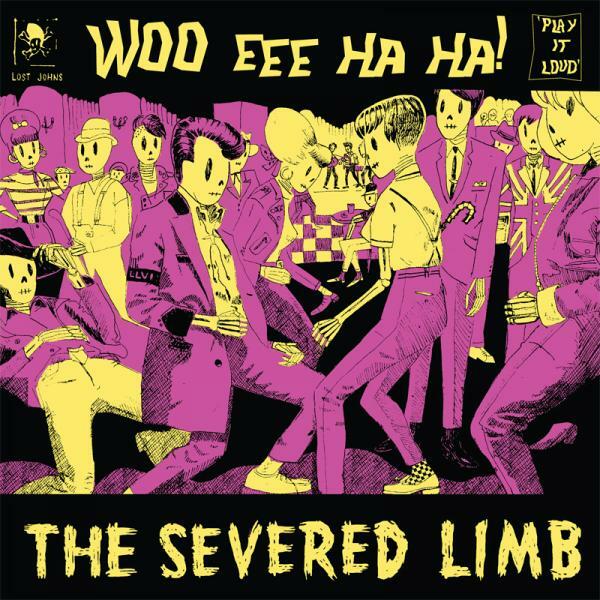 The Severed Limb has demos of other entertaining songs on its MySpace page, particularly “The Severed Limb,” which is a hilarious rock-a-billy song about a guy who befriends a detached hand and arm that crawled through his hallway and showed itself in. Hopefully, it will be on a future release. In the meantime, Woo Eee Ha Ha! is available on iTunes, as well as in a vinyl format. 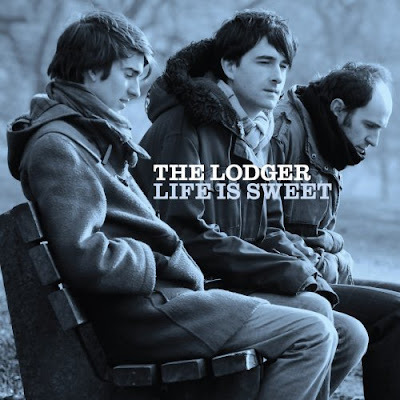 The breezy arrangements on Life Is Sweet, the second effort from U.K. trio The Lodger are as misleading as the CD’s optimistic title. Lead vocalist/guitarist/keyboards player Ben Siddall writes songs about unhappy people itching to find more satisfying relationships, as when he sings, “It is a hopeless and pointless charade” on “A Hero’s Welcome.” This melancholy with melody approach earned The Smiths a cult following, and The Lodger does pretty well with it here. This is a review I did for the online Illinois Entertainer a while back. It’s for a Union Square, digital-only release. Springing from Northern Ireland in the late 1970s, The Undertones were punk rockers who were more interested in romantic relationships than political upheaval. Their 1979 self-titled debut, a non-stop collection of Ramones-influenced songs conjured from an adolescent point of view, brought them worldwide attention. 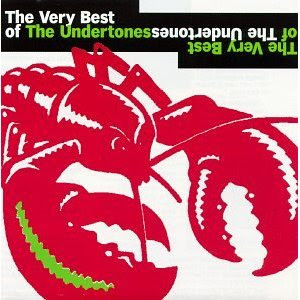 Subsequent albums didn’t fare as well, but as Union Square’s recently released digital-only compilation of The Undertones, Hypnotised, Positive Touch, The Sin Of Pride, and The Best Of The Undertones proves, the band recorded compelling music throughout its career. Following on the heels of the Nowhere Boy flick that depicts John Lennon in his teen years, PBS station Channel 11 in Chicago is airing the Masterpiece production of Lennon Naked this Sunday night at 8:00PM. The film should interest Brit sci-fi fans as well as Beatle maniacs as it features onetime Doctor Who actor Christopher Eccleston as Lennon and Naoko Mori from Torchwood as Yoko Ono. Lennon Naked covers the early days of the controversial couple’s relationship. Rolling Remount. Aftermath, the Signal Ensemble Theatre’s critically acclaimed play about the early days of the Rolling Stones, has returned but sold out its entire run faster that you can say “Get Off Of My Cloud.” The play has now been extended through January 23rd, 2011. Show times are currently Thursday through Saturday at 8:00PM and Sunday at 3:00PM; but there will be no Thursday shows after January 7th. Michael Lux, who has done some impressive strumming with the multi-faceted rock band Hollus steps out on his own with a self-described punk surf side project called Michael Lux and The Bad Sons. “Saturdays Boys,” which is available for download on the Michael Lux and The Bad Sons website, is an energetic track with ringing guitars. Lux has a free EP on the way, with the cool ad slogan, “All songs written in 30 minutes or less or your money back.” Meanwhile, Hollus continues to promote its latest effort, the Part One EP with a gig next Saturday night at The Metro. Maple Mars has the lead-off song on the new A Kool Kat Khristmas compilation. The wistful but guitar-driven “Christmastime In The City” is a melodic mid-tempo number about coming home for the holiday, that features Rick Hromadka’s classic power pop vocals and some glorious harmonies. Damn Right I Got The Drumstick. I know I used that headline for this same event last year, but I kind of like it. SOPRO will sponsor its 28th Annual Thanksgiving All Star Blues Revue on Saturday, November 27th, featuring The Chicago Horns, vocalist Deb Seitz, harmonica player Doug Lee, vocalist-guitarist Billy King, and guitarist-vocalist Joe Jammer. Held on SOPRO’s sout’ side home turf at The Voodoo Lounge (6501 W. 79th Street in Burbank, IL), the revue will also include bassist John Falstrom, guitarist-vocalist Joey Drada, drummer Scott Bonshire, and keyboards player Greg Wolfman. There will be special prize giveaways and CDs and autographed photos for sale. Local actor Guy Schingoethe is best known for his work with the edgy New Millennium Theatre, but he was also once in my old comedy group, Famous In The Future. I’m forever grateful to him for the bang-up job he did as the lead vocalist in my musical satire Damn Andersen, which was based on the Arthur Andersen/Enron crisis. Schingoethe is now the lead vocalist for a new hard rock band called Faith In The Fallen. You can check out the band’s three songs on its ReverbNation page. People involved in the rock business who are looking for a unique Christmas card to send to friends and clients should check out Karen Cannon’s selection at Art Strings Publishing. I particularly liked the one with the two electric guitars by the Christmas tree. Cannon states that being a guitarist has greatly influenced her art. 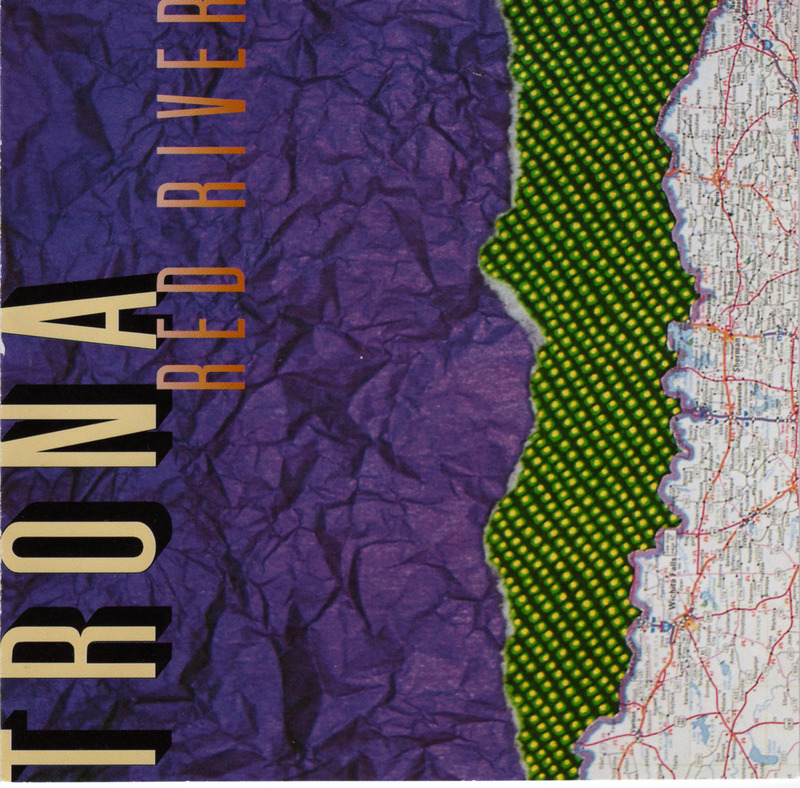 Several of her music-related cards, holiday and non-holiday, are available at The Music Room store in downtown Palatine. The Mint Julep Room, also in downtown Palatine, will welcome back the jazz and pop music of the Together Again Trio tomorrow night, and will present The Wiggle-O’s, who mix comedy and vintage rock, next Saturday night, November 27th. On Sunday, November 21st, The Palatine/Inverness Arts Council is hosting a High Tea at The Mint Julep Room with a musical guest acoustic guitarist Merv Collins. Info at 847-963-6451. Know anyone who wants a Bill Murray action figure for Christmas? You can make their wish come true with The Ghostbusters Collector Set, which is currently on sale at Toys R Us for $49.99. The set also includes Harold Ramis, Dan Ackroyd, and Ernie Hudson figures. Can a Bill Murray gopher-hunting Carl Spackler figure from Caddyshack be far behind? Note: This review originally appeared in the Illinois Entertainer back in 2006. 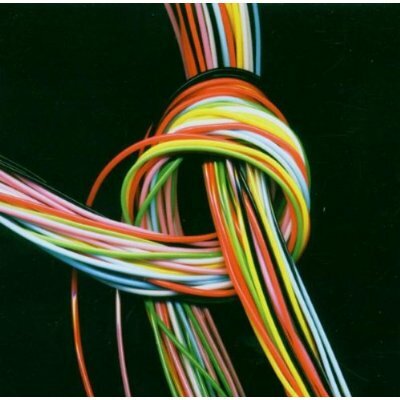 The band has since released another effort; 2008’s Everything’s The Rush. Like You See Colours, it appears to be only available as an import. Delays’ follow-up to their 2004 critically-acclaimed debut Faded Seaside Glamour, was postponed a few times. You See Colors only recently hit UK stores, and it’s still not available in America. A casual listen might mislead someone into thinking the band has ditched the baroque pop that attracted so much attention in the first place. But even on the trio of hard-pounding techno songs that open the CD, Delays are still working their melodic magic. Colours features lead singer/guitarist Greg Gilbert’s soaring vocals on catchy pop tunes like “Given Time” and “Sink Like A Stone,” as well as on the harder-edged “Out Of Nowhere” and “Lillian.” “Too Much In Your Life” uses a convoluted arrangement with cheery harmonies that should get those Hollies comparisons going again. The overdue You See Colours was worth the wait. 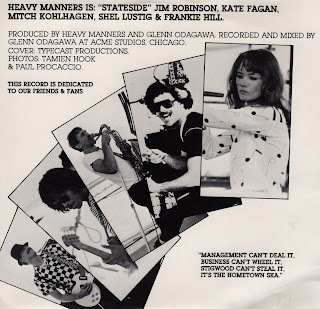 Released in 1981 on the local Disturbing Records label, Heavy Manners’ “Taking The Queen To Tea” still brings back memories of packed clubs on Chicago’s north side and freewheeling outdoor festivals. The ska band was at the height of its popularity then, and this irresistibly catchy tune shows why. It’s a fun satire about partying with the Royal Family, written by bassist Jim Robinson, and featuring suitably bratty vocals by Kate Fagan. Other band members included drummer Shel Lustig, moonlighting from his job at radio station WXRT, guitarist Mitch Kohlhagen, and sax player Frankie Hill. The “tea” being offered to The Queen comes rolled up in a spliff rather than in a china cup, as Fagan notes, “It won’t be the kind she’s accustomed to, but what the hell, it’s on me.” Kohlhagen’s guitar drives the beat but there’s also a peppy keyboards passage. The party continues on the B-side with “Hometown Ska.” It sports a faster arrangement, more in line with what was coming over from England at the time, and celebrates music’s ability to free people from their everyday drudgery. Hill penned the song, and it features his spirited playing throughout. Heavy Manners would release the Politics & Pleasure EP a year later, and in 1996, several of their songs were collected on the impressive Heavier Than Now CD. Heavy Manners played a gig at a Lincoln Avenue street fair this past July. Here’s more evidence that creating a power pop masterpiece is no guarantee of financial success. 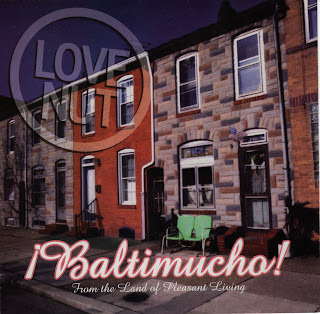 I reviewed this CD over 10 years ago for the Illinois Entertainer, and despite the widespread critical acclaim Baltimucho! received, Love Nut never did become famous. 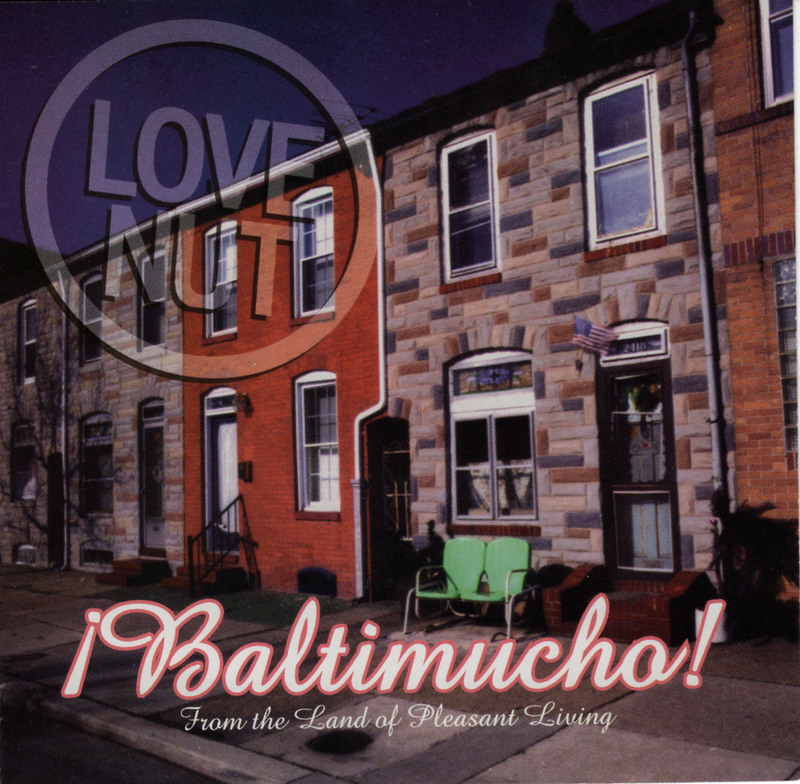 If Love Nut had emerged in the mid-1960s, Baltimucho might have been released on the Apple label along with records by The Beatles and Badfinger. Nowadays, melodic pop has a tougher time finding a mass audience, but this Baltimore band’s sophomore effort should make an impact thanks to vocalist-guitarist Andy Bopp’s songwriting skills. Guitarist Max Mueller provides constant firepower, and the band’s harmony vocals add a finishing touch. Produced by Ed Stasium (The Smithereens, The Ramones), Baltimucho offers a seemingly endless supply of industrial-strength melodies. The album kicks off with the frenetic energy of “Bob Pine,” but soon settles in for the gorgeous mid-tempo arrangement of “Love Found You.” From there, Love Nut travels effortlessly through classic pop material like “Everchanging World” and harder-edged tracks like “Essex Hair.” Mueller is particularly impressive on the crunching rock of “Stolen Picture” and the infectious “Man Or Machine?” Baltimucho also features the pretty ballad “If You Go Away,” while the winsome “Foolish Game” recalls The Posies. The Detroit-based City Magazine is exactly the type of local entertainment publication I search for whenever I visit another city. But since I’ve never been to Detroit, I can only assume that I picked this up at some north side Chicago record store that carried out-of-town ‘zines. 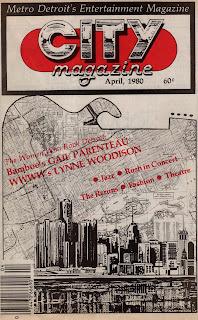 This was the April, 1980 issue, and in addition to rock music, it covered books, theater, movies, and jazz. There were also some vintage Doonesbury-inspired comic strips. 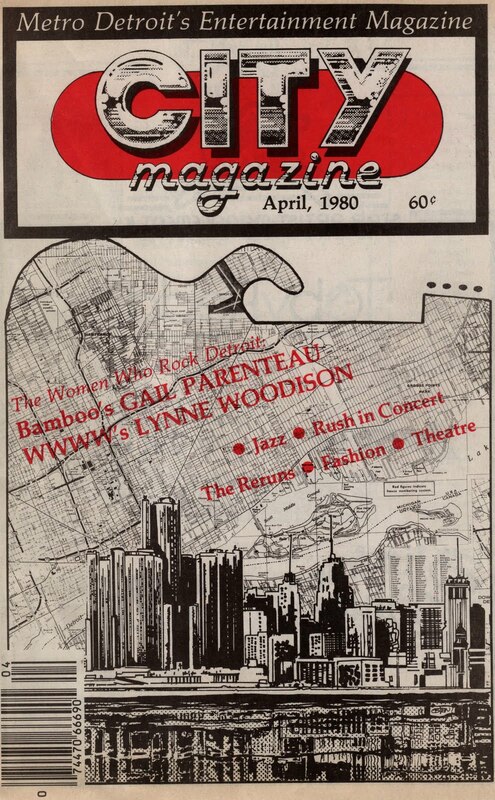 Publisher-Editor Derik Girdwood wrote the main feature, The Women Who Rock Detroit, which consisted of profiles of music publicist Gail Parenteau, who was very big on the English trio Heaven 17; and W4 106 FM afternoon radio personality Lynne Woodison. Both women came across as strong-willed and interesting. Gary Kahn’s Music Reviews covered the Messin’ With The Boys album by Cherie and Marie Currie (years before Dakota Fanning was born); Adventures In Utopia by Todd Rundgren and Utopia; and Bad Boy by Robert Gordon. City Magazine had a page covering the Chicago Music scene where Windy City vets writer Tom Lounges and photographer Linda Matlow combined forces for a profile on the hard rock band Bitter Sweet Alley. (I think I wrote about them at some point as well, or at least I had a button from them.) Ron Angel reviewed a concert by Rush, who were promoting their latest release, Permanent Waves. There was also a profile of the disco-turned new wave club Nunzio’s. The Entertainment Calendar listed Robin Trower at Masonic; Graham Nash at Royal Oak Theatre; and Cheap Trick at the Joe Louis Arena. Ads in this issue of City Magazine included a full page for W4 106 FM’s Sunday night lineup; a full page for Elvis Costello’s Get Happy!! album; a half page for The Pretenders’ debut effort; and a half page for The Bowery night club. The Kooks are currently on tour in Russia, but I didn’t see anything on their website or MySpace page about releasing a third album in the near future. 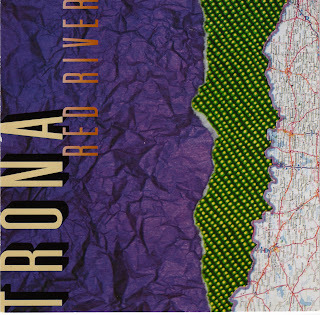 Here’s a review I did for the Illinois Entertainer of their 2008 effort, Konk. 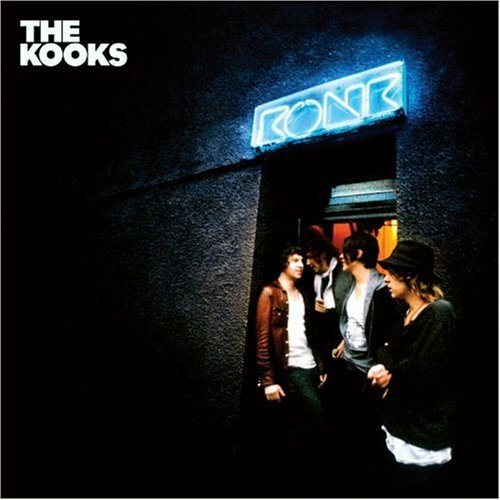 The Kooks breezed to international success with their 2006 debut, Inside In Inside Out, a collection of easy-going songs steeped in British pop traditions. On Konk, Luke Pritchard continues to spin tales of tangled romances in his amiable, working-class English vocal style. The wry social commentary of songs like “Mr. 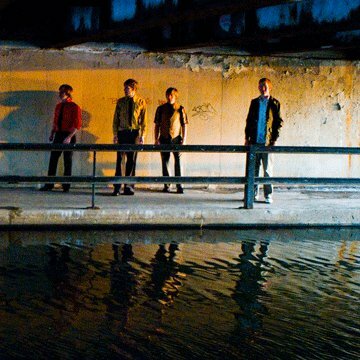 Maker” have rightfully invited comparisons to Ray Davies, but The Kooks also dabble in blues rock on”Love It All” and garage rock on the lustful “Do You Wanna.” The acoustic-based “Tick Of Time” has the feel of a fun, living room jam session, while “Gap” is an earnest love song augmented with strings. Pritchard seems to fancy playing the role of an average guy who has unintentionally offended his girlfriend by saying the wrong thing, and his heartfelt lyrics usually have us rooting for a reconciliation. 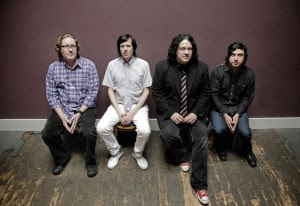 Photo by Christine Taylor from The Posies’ website. The only disappointing aspect of The Posies’ live performance at The Bottom Lounge in Chicago last Saturday night was that the band was only onstage for about 40 minutes. Sandwiched between sets by opening act Aqueduct and headliner Brendan Benson, The Posies concentrated on songs from the recently released Blood/Candy, along with a few classic cuts from Frosting On The Beater. Founding members vocalist-guitarist Jon Auer and vocalist-guitarist Ken Stringfellow proved once again on Blood Candy that they’re an impressive songwriting team, and along with their fellow band members, were able to recreate the adventurous power pop arrangements from that CD in a live setting. After the oddly named but highly melodic “Enewetak” ended with some gorgeous Beach Boys style harmonies from Auer, Stringfellow, and bassist Matt Harris, Auer thoughtfully rubbed his chin as if amazed that they had actually been able to pull that off. 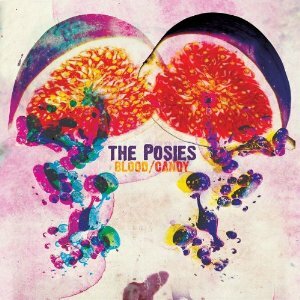 While introducing one of the new tunes, Stringfellow described Blood/Candy as the best album The Posies have ever recorded. For the fun “Licenses To Hide,” the band brought out local singer Lauren Kurtz (who had fans in attendance) to help on harmony vocals. “Cleopatra Street” showcased the band in a lighter, Hollies-like vein, but most of the other new tunes, like “So Caroline,” “She Coming Down Again!” and “Notion 99” were delivered with a flurry of energy. The Posies tapped into Frosting On The Beater, which they had performed in its entirety at the 2009 Randolph Street Fest, for the hard-hitting tracks “Solar Sister” and “Flavor Of The Month.” They closed with the single from that CD, “Dream All Day.” There was no encore, possibly because Auer and Stringfellow would be coming back within a half hour to perform as part of Brendan Benson’s band. The Posies are also on the bill, and they’ve just released Blood/Candy, a CD that finds Ken Stringfellow and Jon Auer at the top of their game. My review of Blood Candy can be found in the November issue of the Illinois Entertainer. When The Posies played Randolph Street Fest last June, they concentrated on their classic Frosting On The Beater CD, so it should be interesting to see what tonight’s show brings. Hopefully, a mix of old and new material. 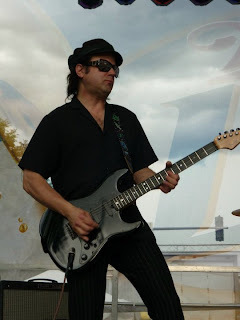 Local melodic rockers This Is This will be performing from 7PM to 9PM tonight at the Borders book store in Oak Brook, just north of the Oak Brook Shopping Mall. The band has a few CD’s worth of original material to draw from, and if you like what you hear, you can order them from the band’s website. Wonderwall Music Shoppe & Emporium in Oak Park continues its grand reopening celebration by presenting artist Shannon’s And Your Bird Can Sing exhibition from November 12th through December 19th. The single-named Shannon bills herself as The World’s Greatest Beatles Artist, and has shown her amazingly lifelike portraits of John Lennon and the lads at Fest For Beatles Fans. Hollus is holding a CD release party on November 11th for its latest effort, Part One, at Reggies in the south loop. For a review of Part One, which is the first of a pair of planned CDs, see the Broken Hearted Toy archive for October. Hollus plans to release Part Two in early 2011. The Bangles will be honored with a tribute concert/charity events dubbed Pretty In Punk on November 19th at The Roxy on Sunset Boulevard in Hollywood, California. Proceeds from the event will benefit Covenant House California and musician Nikki Sixx’s Running With The Night. Little Steven favorites The Dollyrots are scheduled to appear, along with sASSafrASS, Janet Robin, and 5 O’clock Shakedown. Plus, The Bangles themselves will be performing. It would be nice if some sort of video or audio recording results from this show. Meanwhile, we’re still waiting for The Bangles to finish that new CD. New Millennium Theatre Company has made a name for itself with bizarre musical adaptations of slasher and Karate Kid movies, but these guys love the Yuletide as well. The group is bringing back its David Bowie Christmas Special 1977 (Network Edit) show for the holidays. Cast members will impersonate Bowie and other celebs like Mick Jagger, Annie Lennox, Iggy Pop, and Freddy Mercury. New Millenium is also holding a David Bowie Glam Rock Pub Crawl Fundraiser on November 13th in the Belmont area on Chicago’s north side. Ellis Clark was a busy guy, performing as Paul McCartney as well as a member of Pink Floyd. Photo from Ellis Clark’s Facebook page. Last Rites held its third annual Halloween Bash at The Abbey Pub last Friday and Saturday. There were six local acts scheduled per night, and each was given about 30 minutes to pay tribute to a well known band. Located on Chicago’s northwest side, The Abbey has become one of my favorite venues for the way it consistently books interesting shows. Who’s This Mary offered an impressive set of music by The Cure, ranging from the early “Boys Don’t Cry” to the later FM radio hit, “Friday I’m In Love.” A fog-filled stage bathed in blue lights helped set the ambience, although none of the members tried to look like Robert Smith and company. Ellis Clark & Epicycle staged an ambitious reenactment of The Beatles’ famous rooftop concert. Clark played bass, sporting a Paul McCartney wig and beard, while guest vocalist and Beatles fanatic Phil Angotti channeled the vocals and spirit of John Lennon via a long-haired wig and wire-rimmed glasses. The band’s renditions of “Get Back,” “Don’t Let Me Down,” “One After 909” and other Beatles songs were right on the mark, and the performance even included an appearance by an English Bobby calling for a halt to the festivities. Brad Elvis and Chloe F. Orwell came to The Abbey to support Ellis, who in addition to founding Epicycle, is a member of their band, The Handcuffs. Brad told me just prior to the “rooftop” set that the recording of the new Handcuffs CD is coming along well, and it should be released in the not too distant future. Throughout the night, it seemed to take longer for each band to set up than at last year’s bash, and certainly longer than when International Pop Overthrow touches down at The Abbey. By midnight, the schedule was off by at least 30 minutes. That meant I wasn’t able to catch Tomorrow The Moon’s take on Syd Barrett era Pink Floyd since I had to catch the last train back to my sleepy little town of Palatine. Tomorrow The Moon is an imaginative keyboards and guitar band, and I was really looking forward to their set, especially with Ellis Clark scheduled to help them out. The musicians were still setting up as I left, and there was a large screen behind them flashing psychedelic images. Photo from Jonny Rumble Facebook page. JR, the fourth full-length effort from Chicago-based Jonny Rumble gets off to a shaky start with “Cox Road,” an off-kilter song about a troubled relationship. Things improve from that point on, and at least the opening track alerts listeners that there’s no way to predict what direction this rambunctious quartet will take next. Throughout the CD, cryptic lyrics are set to infectious melodies, as lead singer-guitarist Brian Webb weaves his way through playful harmonies supplied by all three of the other band members.